Nissans total sales for January 2012 were up 10.4% versus January 2011, however only 20 Nissan GT-R's were sold, down 9.1% from 22 a year earlier. It looks like the buyers were anticipating the 2013 model. 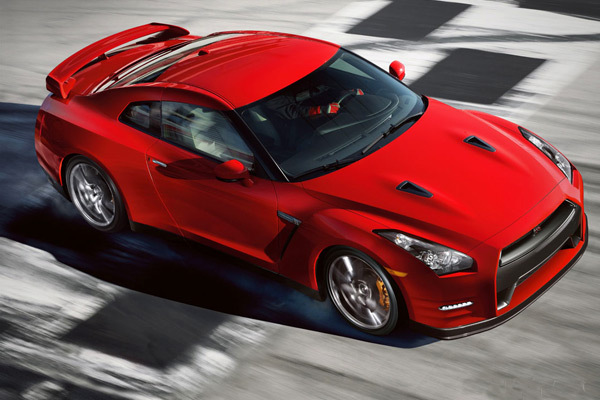 Will the slow sales continue for the Nissan GT-R in 2012, or will the release of the 545 hp 2013 show some more sales? The first 2013 Nissan GT-R's are arriving to dealerships now. We should have some projections of 2012 sales by the end of the month. The GT-R had a healthy price bump to $96,820 on the Premium, and $106,320 on the Black Edition. Up for the month were the Versa, Altima, and LEAF. The LEAF sold 676 units. Down for the month were the Sentra, Cube, Juke, 370Z, and GT-R. The 370Z was down to 417 sales or 26.5% off January 2011.